Donate - Welcome to Hope House of South Central Wisconsin's website! ​Your Donation Makes a Difference! Click here to view our current wish list. A new and easy way to raise money and give the gift of hope! Maybe you know someone who was helped by Hope House. Maybe you know someone who was affected by domestic violence or sexual assault. If you are looking for a way to give back to Hope House for the impact that advocacy has had on your life or someone else's, setting up a fundraiser on Facebook is a great way for you to make a difference in the lives of victims of domestic violence and sexual assault. ​Facebook Fundraisers gives you a way to raise donations for Hope House from your network of friends. Donations are handled directly though Facebook-all you need to do is set up your Fundraising page and share it with your friends and family! Every dollar makes a difference, and we are so grateful for your support! 1. Click the Start Fundraising Now button below. ​3. Choose a cover image, a title for your fundraiser, and a story about why you are raising money for Hope House. ​4. Once your fundraiser is set up, share it with your Facebook friends and family, and ask them to donate! We also greatly appreciate gas cards, gift cards (to places like KwikTrip, Walmart, etc. ), and taxi vouchers from Baraboo Taxi. Please review our ﻿wish list﻿ for items Hope House is in currently most in need of. Amazon will donate 0.5% of the price of your eligible AmazonSmile purchases to Hope House of South Central Wisconsin Inc. whenever you shop on AmazonSmile. ​Support Hope House by starting your shopping at smile.amazon.com. Hope House is now enrolled as a potential Thrivent Choice Dollars recipient. By directing Choice Dollars, eligible Thrivent members recommend where they feel Thrivent should distribute a portion of its charitable grant funds. 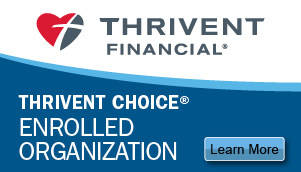 ​Simply go to Thrivent.com/thriventchoice to learn more and find program terms and conditions. Or call 800-847-4836 and say “Thrivent Choice” after the prompt. Consider selecting Hope House of South Central Wisconsin as your recipient. Hope House is a tax-exempt, non-profit organization. Your donation may be tax deductible as a charitable contribution. ​Please consult your tax professional for more information.